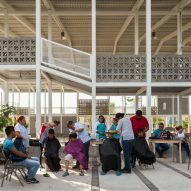 An underused public space in Veracruz, Mexico, has been given new life by Rozana Montiel and Alvin V Wallach, who built a canopy over the plaza to protect it from the elements. 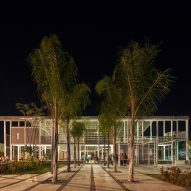 The Court project sought to accommodate a range of activities on an existing plaza at the port of Veracruz, which lies east of Mexico City on the Gulf of Mexico. 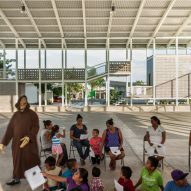 "The court used to remain uncovered and out of use," said Rozana Montiel Estudio de Arquitectura. 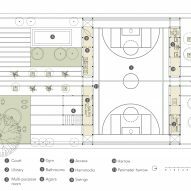 "We built an indoor court, efficiently optimising a very restricted space in order to generate a varied activity programme." The simple pitched roof covers half of the existing plaza, leaving the other portion open for casual outdoor seating and trees. The sheltered area is a double-height space that runs from north to south. In its centre is a multi-purpose sports field, while the east and west sides contain enclosed spaces such as recreational areas for children, activity rooms, and bathrooms. Arched bamboo trusses left exposed in Chiang Mai sports hall to create a "feast to the eye"
On the upper level, mezzanines allow the public to observe the activities happening below. Images of the space show the court being used for sports, children's games, and as an impromptu barbershop. 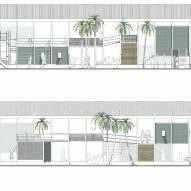 Because of the site's proximity to the ocean, the architects needed to choose durable, efficient materials. The main structure of the portico is steel, which is filled in with bricks for areas that need to be enclosed. 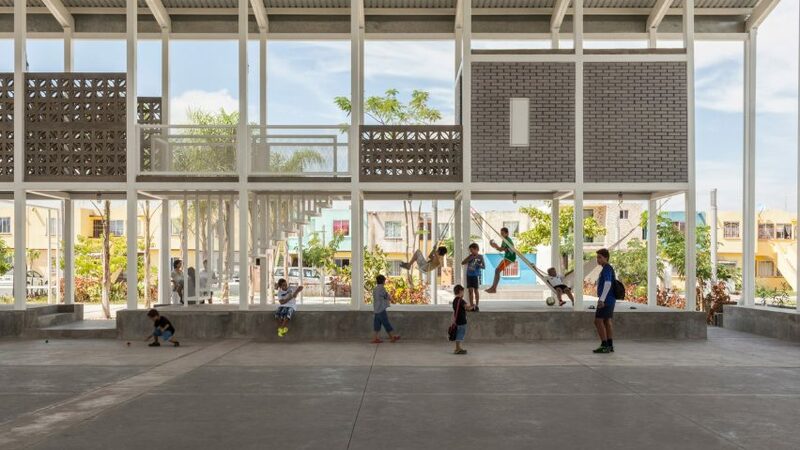 The architects also used patterned concrete blocks in certain areas, which allow air to pass through and creates geometric shadows throughout the day. Architects around the world are addressing the need for high-quality sports infrastructure in cities. 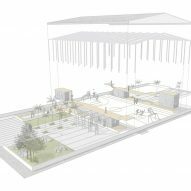 French studio NP2F recently installed tennis and basketball courts onto a compact Paris site, using netting to define play areas. In London, Amanda Levete has proposed a concept for stacked football pitches, which would save space. 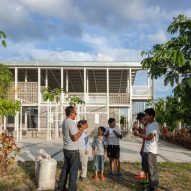 Further afield, Chiangmai Life Architects and Construction built a canopy to cover a sports pitch using bent pieces of bamboo. It also includes mezzanines along the periphery of the elaborate structure.